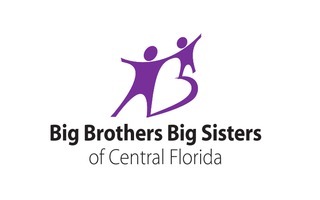 Brevard Cooking From The From Heart 2018 Fundraising Campaign for Big Brothers Big Sisters of Central Florida - Giveffect, Inc.
24th Annual Brevard Cooking From the Heart is a tasty fundraiser simmering with irresistible ingredients, loaded with fun and entertainment, seasoned to perfection with love to benefit the children of Big Brothers Big Sisters of Central Florida. MENTORING ROCKS! Join our emcees, Greg Pallone of Spectrum Channel 13, and Lori Scott, Brevard County Supervisor of Elections. This cause-driven event promises to be an evening of delicious food prepared by volunteer and professional chefs who donate their services and culinary expertise. The evening will include: dinner, beverages, entertainment, dancing, silent auction, and much more! Come dressed as your favorite rock star, band, album, or just come dressed ready to rock out to the live cover band, The Umbrella Thieves. YOUR E-TICKET IS YOUR RECEIPT. Ticket includes entry into the event, ability to participate in food tastings of all participating chefs and up to three alcoholic beverages (unlimited soft drinks & water). You will receive an E-ticket that you must present for entry. YOUR E-TICKET IS YOUR RECEIPT. Reserved table for up to eight guests. Please indicate the name of person/group/company for table top signage. You will be contacted for names of the 8 guests to be seated at this preferred seating table of eight.